South Korean actress and boxer Lee Si-young recently became the topic of heated discussion over whether referees were biased in her favor during the national boxing team tryout. Lee defeated Kim Da-som 22-20 in the 48-kilogram class on Wednesday to win a spot on the South Korean women’s national team. The victory capped the successful transition into a competent boxer for 31-year-old Lee, who picked up the sport just three years ago at the relatively late age of 28. Her victory, however, was tarnished after suspicion was raised about its legitimacy. 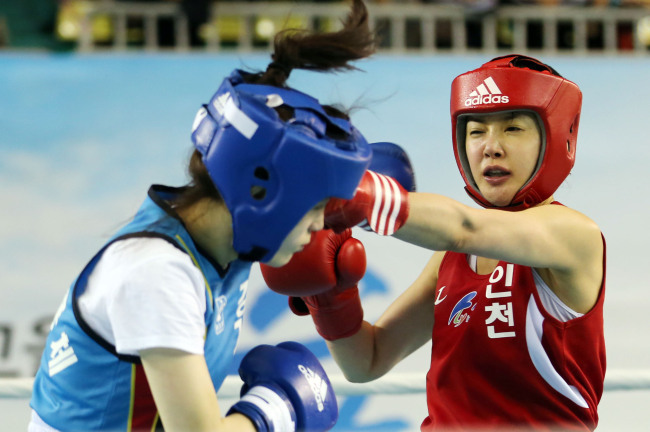 Kim Da-som, who fell to Lee in the bout despite grabbing an early lead, said she may file a formal complaint to the Korean Amateur Boxing Federation, arguing that the biased judgment cost her rightful victory. The dispute expanded online as many people who watched the match also questioned the fairness of the final score. Social critic Byun Hee-jae said via Twitter that Kim simply dominated Lee. He said that if Lee earned 22 points, Kim should have been rewarded at least 50. The boxing federation maintained that there was no bias and Lee’s victory stands. It explained that there is a difference between how professional boxing and amateur boxing are judged. “In amateur boxing a technique-based clean hit is more important than power. The referees (of Lee and Kim’s match) were fair,” an official from the boxing federation said.